First Islamic State attack’ in Iran kills twelve – Royal Times of Nigeria. 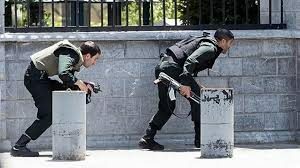 Twin attacks on the Iranian parliament and Ayatollah Khomeini’s mausoleum in the capital, Tehran, have killed at least 12 people and injured many more. The assault on the parliament appears to be over, after hours of intermittent gunfire there. A suicide bomber detonated a device at the mausoleum. Iranian officials say they managed to foil a third attack. The Islamic State group has claimed it carried out the attacks, which would be a first in Iran. Iran’s Revolutionary Guards said Saudi Arabia was behind the attacks. It is not clear whether the death toll of 12 includes the attackers, or whether the victims were killed at both incidents or solely at the parliament. 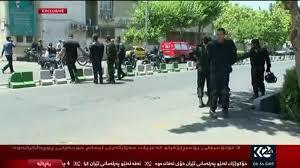 About 40 people were injured in the two attacks, according to emergency services chief Pir Hossein Kolivand.